We have a Diggster and we're not afraid to use it. 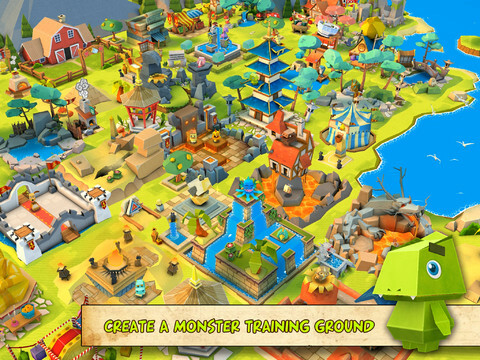 Monster Life is Gameloft's answer to Pokemon for iOS and Android, where the object is to discover and train monsters, then compete against rivals in turn-based combat. It's both rewarding and visually stimulating, with paper craft critters and a customizable ranch to show off your decorating skills. 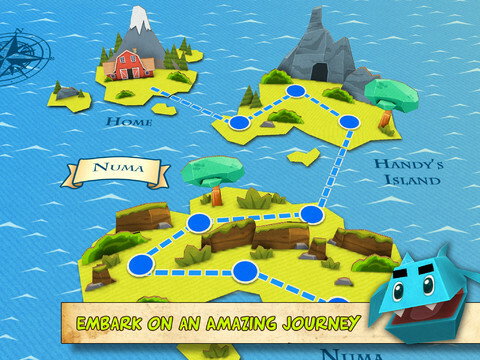 At the same time, the virtual economy makes this freemium effort somewhat inaccessible, leaving us to wonder if the publisher truly understood the game's target audience, undoubtedly kids that may or may not have access to their parents' credit cards. First, and foremost, there's a lot to like about this game. Although it shares a common thread with Pokemon in that monsters belong to a specific element (water, earth, fire, air) and level up, there's a heavy reliance on nurturing these creatures for experience points, whether it involves feeding or playing with them. You even stand to gain bonus XP for placing them in corresponding habitats. Speaking of those monsters, they're all cute, to say the least. Sure, they have silly names. We don't think Diplodoster rolls off the tongue as easy as Pikachu, but each animal's adorable in its own way, from Owlster the owl to Pegaster the horse and even Crabster the crab. Kids will enjoy spending time with each of these characters, tending to their needs (even monsters need baths) and petting them by rubbing the touchscreen. It remains to be seen whether Gameloft sees a merchandising opportunity, but it wouldn't surprise us if Monster Life plush toys popped up somewhere. Battles, meanwhile, play out as expected, with both combatants taking turns clawing each other with basic and special attacks. 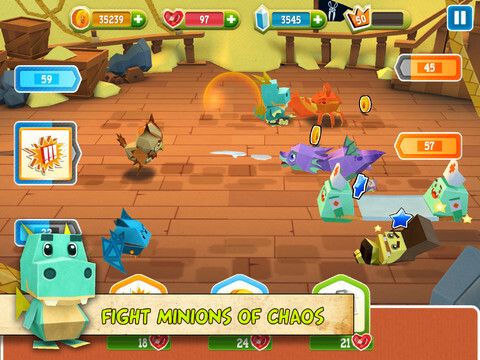 What's especially interesting, though, is the player's ability to improve a monster's Attack, Defense and Health stats during a fight, providing they have Friend Stones, which are battle points, of sorts; when a monster loses a fight, two unnamed characters bring out a stretcher and carry the animal away. Adorable. As for the customizable ranch, Gameloft deserves kudos for offering a virtual shop filled with goodies, including attractions (Who doesn't want to buy a huge Anubis statue? ), a Papyrus Shop, Street Festival, Castle, Pyramid and Pagoda, to name a few. Suffice to say, you'll spend hours building the ultimate ranch, and draw inspiration from others, thanks to the ability to visit friends and random players from around the world. All of this sounds enticing, and for the most part, it is, but the aforementioned economy presents a strange barrier to entry. This isn't Let's Golf 3, where you're able to play the bulk of the game without spending money. Here, Gameloft went bonkers with the freemium concept, and the result is a title that's too restrictive for its own good. For starters, everything works on a timer. Attractions produce gold coins anywhere between six minutes to a ridiculous 18 hours. Monsters, meanwhile, won't ask to be fed, played with or bathed until that time expires, whereupon which you'll need to spend either gold or crystals to acquire the necessary items, be it bottles or nourishing liquid, waffles, punching bags or bars of soap. You can speed up the caring process by spending crystals (very difficult to come by), but even if you do that, the game still forces you to pay for the supplies. Then we have cool down timers for each monster following a battle. Unless you're willing to, once again, part with some of those precious crystals for immediate recovery, you're forced to wait until the monsters are ready, and this may take an hour. So basically, you can't enjoy the whole Pokemon aspect of the game until later. Meanwhile, those Friend Stones don't come easily or cheaply. Run out of them, and you can forget about boosting Attack, Defense and Health. As for the ranch, it costs thousands of gold pieces to expand, so you can't progress further until you start completing missions or battles, where the payouts are greater. Eventually, you'll reach a point where you simply cannot play the game, which is a bit odd, considering Monster Life appears to be aimed at youngsters. Finally, there's no online multiplayer. In a game like this, with so much emphasis on training these creatures and improving their abilities, the lack of head-to-head battles is a curious omission. On the flip side, the single-player experience is deep enough to keep players enthralled, and they'll definitely like what Monster Life has to offer. Both the App Store and Google Play were in need of a good Pokemon clone, and Gameloft delivered. We just wish the company had dialed back the in-app purchases just a bit, or included some mini-games to pass the time; thankfully, this seems to be an expansive title, and we think the developers will continue to make tweaks and release new monsters in the months ahead. With this in mind, perhaps this "Life" is right for you. Need more Gold and Crystals? 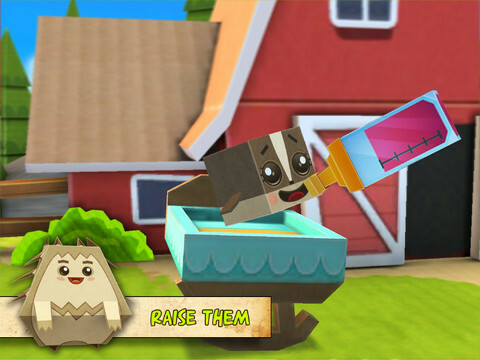 Read our Monster Life Cheats And Tips guide. 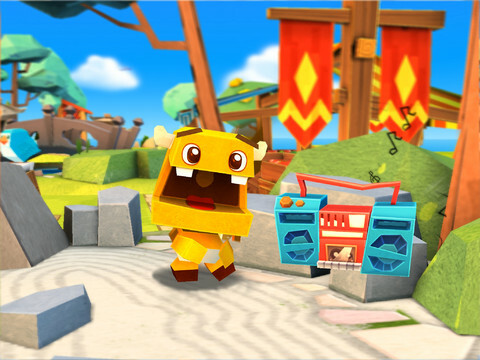 What's Hot: A fun cartoon world filled with adorable monsters, expanding and then customizing one's personal ranch, battling rivals, tending to monsters' needs, completing missions for rewards, free-to-play. What's Not: Being handcuffed by father time, no online play, heavy reliance on in-app purchasing.